You may be familiar with the internet sensation of "Women Laughing Alone with Salad," (a stock photo rockstar, if such a title existed), but these photos somehow make even less sense. The above picture, for instance, seems to lack any discernible meaning or message - is it a play on 'sweet dreams' or something? Although he is definitely not dreaming, as evidenced by his haunting stare. If you're into seeing things like crash test dummies in a loving embrace, a child earnestly sniffing a cactus or two adult men sharing a single white turtleneck sweater then, please, take a gander. 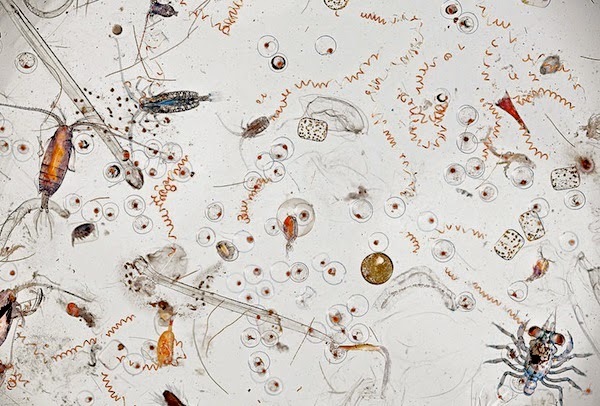 Pictured above is the magnified contents of a random drop of sea water - yes, the same water you frolic in, and which occasionally ends up in your mouth. I know there are obviously sea creatures in the sea. 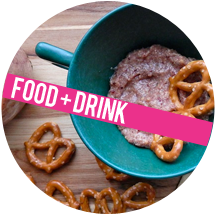 I just don't like it when science is all "just in case you were trying to forget that you're dunking your whole body in a fish's toilet, here is some gross stuff you probably swallowed along the way. LOL!" I don't like the idea that something is so small I can't see it, yet also somehow has, like, 10 legs. Also, what are those curly little things?! Glad you asked - here's a breakdown of each new friend. Let's take a moment to recover with what is, undoubtedly, one of the cutest things to happen on the internet. 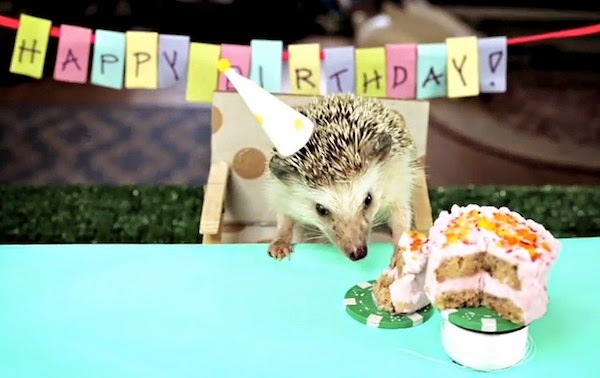 From the people who brought you "Tiny Hamsters Eating Tiny Burritos" comes a tiny birthday party full of tiny presents and a tiny birthday cake for a tiny hedgehog. There's just no room for complaining here...this is about as good as it gets. Also, don't miss the cameo from the aforementioned tiny hamsters! 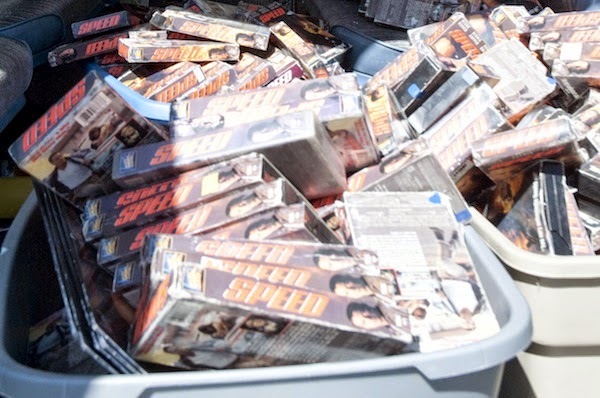 In case you're ever down on yourself for not having a hobby, or maybe having an embarrassing one, please keep in mind that some dude out there is actually dedicating his time, energy and van space (of course he drives a van) to collecting every single VHS copy of the movie Speed ever made (although he also has some laser discs for bartering). He's also wearing two pairs of sunglasses in the article photo so...you know. Part of me likes this and part of me wishes I had a copy just so I could keep it from him. I'm sure some (most?) 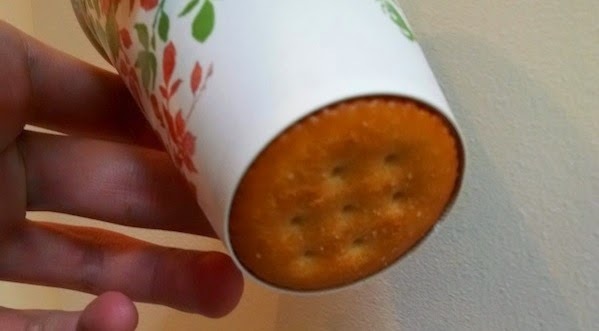 of you are like, "uh, cool...a cracker in the bottom of a cup," but when I see this picture I feel a deep calmness in my very being (and I also kinda want a Ritz). Much like "Things Organized Neatly" this tumblr gives me the satisfaction of seeing order and harmony through the lens of everyday objects. Why does it feel so satisfying to see a bottle cap fit snugly into a sink drain? I don't knooooow, but it feels so right. In this vintage clip, top fashion designers predict what kind of crazy fashion hijinks we'd have gotten up to by the year 2000. Much like most future predictions (e.g. flying cars, robot maids, the value of Beanie Babies) these are pretty off, but entertaining nonetheless. Apparently, we should be covered in sheer mesh by now so that we can, presumes the video's narrator, "catch the males." Also, one of them thought we would wear lightbulbs in our hair. Seems dangerous. So many good things on this list. 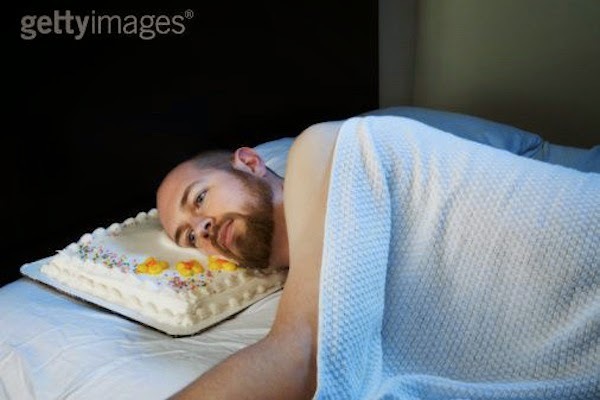 There was a Twitter account I followed for a while called "Stock Find" - all weird stock photos, all the time. It's inactive now though. Word, Things Fitting Perfectly Into Other Things, just instantly restores your sense of order. 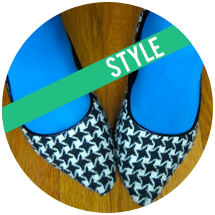 It's bizarre that humans always seek patterns, like it's just hard wired into us.